Adventure is calling in Lodi, California, a destination that draws visitors from all over the world with not only its award-winning wine, but also its outdoor adventure. Home to stunning wildlife and a wide array of exotic birds, Lodi invites travelers in for an up-close and personal experience with Mother Nature. 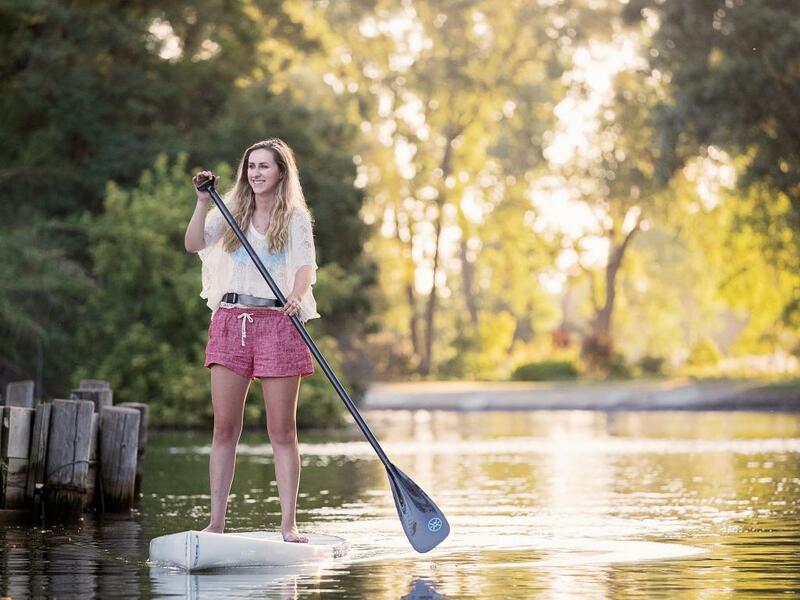 Whether it's a visit to the zoo, a birding tour, or maybe a scenic paddling trip down the river, the thrill of outdoor discovery is everywhere in Lodi. Lodi has some pretty special wildlife, and you can see some of these species up close! At Headwaters Kayak, visitors can rent kayaks, canoes, paddleboards, and pedal boats or opt for a guided tour to explore the Mokelumne River. Not only will you have a seasoned instructor by your side for the tour, but he or she will also point out must-see wildlife along the way. It’s a win-win! There's something for every interest at Micke Grove Park, so it's easy to spend an entire day exploring! Kids gravitate to the Micke Grove Zoo, home to some of the world's most fascinating animals along with several endangered species like the black-and-white ruffed lemur and the cotton-top tamarin. Swing by the Tropical Forest Canopy to see birds of every color or visit "An Island Lost in Time," which features radiated tortoises all the way from Madagascar. If golfing is your sport of choice, book a tee time at Micke Grove Golf Links. For one, the 18-hole course is nestled among Lodi's wine grape vineyards. Throughout the course, you'll pass by eight lakes and 42 sand bunkers, so keep your eyes open! Surrounded by so much nature, it's an ideal way to see Lodi while getting the competitive juices flowing. If you're new to golf, sign up for one of the interactive lessons. For other golf courses in Lodi, check out this comprehensive list, including the luxurious Dry Creek Ranch Golf Club. Bicycling is another great outdoor activity for your Lodi adventure. Explore vineyard-lined trails and stops to wineries, eateries and attractions along your route – let our interactive bike maps be your guide! You can download them right into your GPS. Travel is all about going outside your comfort zone, so why not test your limits in Lodi? If you've ever wanted to fly high in the skies, here's your chance. Head to the Parachute Center in Acampo for a fun-filled day of skydiving. Depending on your skill level, the center offers training programs for beginners along with tailored lessons for more advanced participants. Serving the community since 1964, the Parachute Center has some of the most experienced instructors in the business, so you're in good hands… literally! If you're not quite ready to fly through the sky, spend a leisurely day at Lodi Skate Park instead. Channel your inner child with a day of inline roller-skating or try your luck on a skateboard. Make sure to come prepared, as helmets, elbow pads and kneepads are required for safety. Lodi is a top bird-watching destination, and the county does a great job of keeping its natural habitats protected. For example, Lodi Lake Park is home to more than 200 species of birds along with fish and other wildlife. Butterflies, including the classic orange and black Monarch, the Painted Lady, and Cabbage White butterflies, flitter around the greenery. In the lake itself, which flows into the Mokelumne River, the colorful goldfish are easy to spot, while other species like the white crappie are more translucent. The park hosts several educational nature programs throughout the year along with evening kayak lessons and river tours. The Isenberg Crane Reserve at the Woodbridge Ecological Reserve is another must-see for nature lovers. Besides viewing Sandhill Cranes, you're likely to catch glimpses of barn owls, pelicans, hawks, shrikes, swans, stilts, ducks, herons and even vultures. Often called the "Season of the Sandhill Crane," late September through early February is the best time to visit for optimal sightings. There are organized wetland tours offered for travelers eager to learn more about this fascinating creature. There are countless ways to enjoy the natural beauty that this picturesque region has to offer. Whether you prefer to take in the scenery and wildlife by land, water, or even by air, Lodi’s outdoor adventures make it a truly memorable destination. To learn more about outdoor recreation in Lodi and plan your next adventure, check out VisitLodi.com!